I.D. 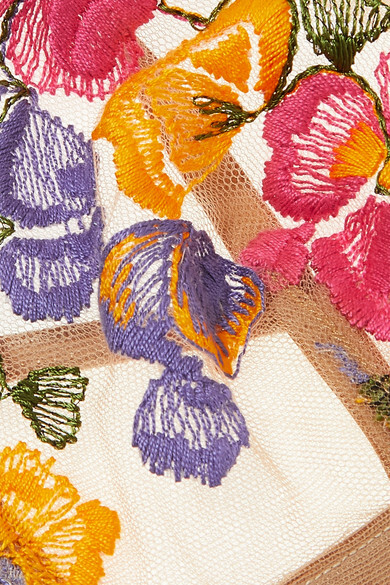 Sarrieri's 'Wonderland Delights' collection is defined by the colorful flower embroidery. Cut from stretch-tulle, this bra has soft triangle cups and an elasticated satin underband for gentle lift and support. Complete a set with the matching thong. Wear it with: Loren Stewart Ring, Jennie Kwon Designs Necklace.